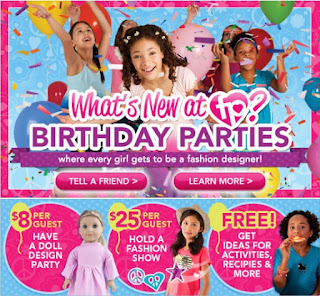 The Pea just turned 11, and she hosted a fun birthday sleepover for her friends to celebrate, but if I had known about Fashion Playtes new birthday party packs, I have a feeling that her Movie Night would have turned into Fashion Designer night. She has quite a few outfits from FashionPlaytes, so the thought of letting her friends design their own outfits would just be too much fun to be true. The Doll Design party is a great budget-friendly option -- although it doesn't include any custom graphics, just a doll dress, so girls would need to embellish it themselves with iron-ons or fabric paint. Disclosure: I did not receive a sample or monetary compensation for this post. I The views and opinions expressed here are my own.